Brady Nursery is looking for candidates that are reliable and have a good work ethic. We are a tobacco free environment, no tobacco use while at work. Garden Center hours are Monday through Friday, 8:30am to 6:30pm, Saturday 8:30am to 6:00pm, Sunday 12:00pm to 5:00pm. We have flexible hours for Garden Center employees. 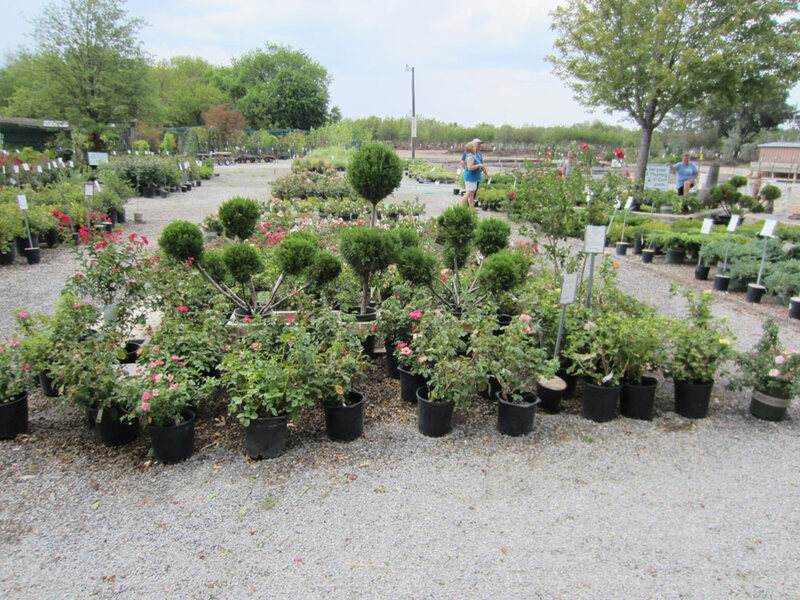 Landscape department hours are Monday through Friday, 7:00am to 4:00pm, and Saturdays as needed. Please be realistic when filling out your available hours. Maintain trees, shrubs, flower bed for commercial and residential properties. Follow procedures and policies. The ability to lift and move up to 50 lbs. The ability to work outdoors in the heat, sun, or cold. The ability to bend, squat, and dig holes. Able to work efficiently alone and without supervision. The ability to communicate with customers, coworkers, and supervisors. Good driving record and license required. Planting trees, shrubs, installing edging, walkways, patios, etc. Follow procedures and policies. Basic knowledge of skid steer (bobcat), forklift, tractor, or other equipment. To follow instructions efficiently for customer service and sales. Restocking plants and materials. Maintaining plant material. Answering telephone as needed. The ability to ensure that customers receive excellent customer service. Basic gardening and/or plant knowledge and desire to learn about plants and the care of plants. The ability to efficiently write out sales transactions. The ability to lift up to 20 lbs. To follow instructions efficiently for customer service and sales. Receiving and stocking plants and materials. Maintaining sales yard and grounds. Maintaining and watering plants. Assisting sales staff. Loading customer vehicles. The ability to set up and display plant material. To follow instructions efficiently for customer service and sales. Operating point of sale cash register. Receiving and displaying products. Keeping store swept and cleaned. Answering telephone as needed. The ability to stand 4 to 8 hours. To follow instructions efficiently for customer service and sales. Receiving and stocking plant material. Delivering trees, shrubs, and products. Loading customer vehicles. Minimum of 19 years old. Have a good Motor Vehicle Record (MVR). Available 3 weekends a month, March through June, September and October.